We are absolutely thrilled to announce that we have been asked to perform at one of Ireland's most beloved folk festivals, Ballyshannon Folk Festival. It is now in its 41st year and being proud Donegal women, we are delighted to have been invited to perform at this Co.Donegal festival. 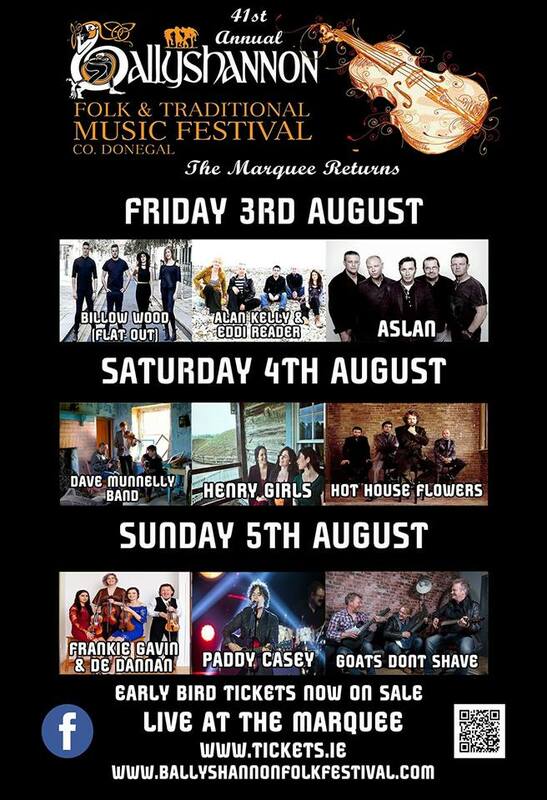 So on Saturday August 4th we will share the stage with the legendary Irish band Hot House flowers and top trad act The Dave Munnelly band. Tickets are price €38.50 and can be purchased at this link.